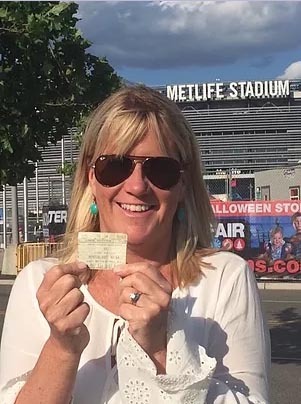 This picture is of me at the 30th Anniversary Joshua Tree concert with my original ticket from 1987 (which cost $16.50, by the way). This week, I went to see U2 at Met Life Stadium. While everyone else was screaming and singing along with Pride (In the Name of Love), I sank down into my seat and thanked Bono for saving me 30 years and 45 days ago. 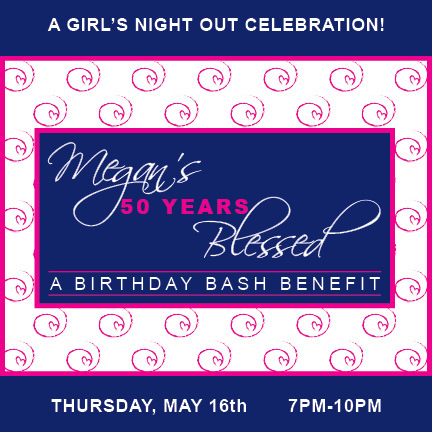 I thanked God for offering me another view of myself that night in 1987 when I was 17 years old and really, really, REALLY struggling with myself. I thanked God for Bono and for new starts in life. I thanked God for the stranger who pushed me that night. I thanked God for my husband Eddie, and my three girls, and for my lifelong friendships, and for Heartworks. I thanked God for my present life because, during the Spring 1987, I was almost swallowed whole by self-doubt, shame, and sadness. As I sat there, I prayed for all 17-year-old girls struggling with the darkness of the unrelenting teenage mind and prayed that they, too, can experience peace when everything around them (and within them) seems broken. Bono helped me to do this in a stadium of people on May 13, 1987. I will give a shortened version of the story so that I can get to the part of how he saved me. I have told this story thousands of times over the past 30 years. I told this story the very next day in each of my high school classes. I told this story as a way to break the ice with girls on my hall when I started college that next fall and many, many, many times since. My friends have a bad habit of waiting for me to have a few glasses of wine and then say to whoever is sitting with us, “Have you ever heard Megan’s Bono story?? ?” Because this question always ends up with me up on a table or chair, heart beating out of my chest, in full reenactment of the four-foot leap (some versions have the leap at six feet) onto the back of the stage, grabbing on to Larry Mullen’s drum set and pulling myself up yelling, “BONO!!!! !” and him reaching towards me with one hand while keeping the security guards away with the other. On that Wednesday night, when I was a senior in high school, I went to see The Joshua Tree tour with my girlfriends. We had cut school a few weeks before and slept out all night in Leslie’s Nissan Sentra outside a Ticket Master office. We ended up with terrible seats and, about halfway through the show, we split up in search of better seats. I ended up on my own, in the very last row of the bottom section, directly in back of Larry Mullen playing the drums. Because I was 17, rules or social graces apparently didn’t occur to me, so I started to walk downward on the arm rests of the seats in front of me, balancing myself by holding onto people’s shoulders as I descended. I started getting closer and closer to the back of the stage. Nobody stopped me and it actually seemed like everyone was actually letting me in front of them. The next thing I know, I am in the front row with nothing but a four-foot pit separating me from Larry Mullen. I was screaming and crying. I could see Bono off to the side. The Edge was to my right. He looked directly into my eyes with the screaming chaos all around him. He gestured towards the stage, encouraging me to jump. I looked back at him like he was nuts. “GO!” he firmly said again. But this time he put his hands on my back and propelled me forward. Half of me landed on the stage and half of me was dangling down in the pit. So I grabbed onto a piece of the drum set and pulled myself up. The next thing I know I AM ON THE STAGE STANDING IN BETWEEN LARRY AND THE EDGE. Then he told me to hold up my t-shirt, which was a tie-dye with GIVE PEACE A CHANCE written on the front under a big peace sign. I pulled it over my head. (I had a white Fruit of the Loom undershirt under it for some reason…Did we do that in the 80s? I guess so.) So, then I held up my peace sign t-shirt and the whole stadium goes CRAZY! HA! It was ABSOLUTELY BEYOND INCREDIBLE. In my 17-year-old head, I thought to myself that if I really was worthless, horrible, and not deserving of goodness, would I really be up on stage singing Pride with Bono????!!! It occurred to me that maybe, just maybe, I had been wrong about myself. I’m not going to say that it was an instantaneous healing, but it catapulted me into a new level of grace with myself that I’m sure would not have come anytime soon had I not had this experience. When I got home from the concert, I started talking to trusted people about how I was feeling. I learned about self-forgiveness and reconnected with God. I started to lean toward thoughts of feeling good about myself again. The tears stopped and I was able to attend graduation the next month with a smile on my face. 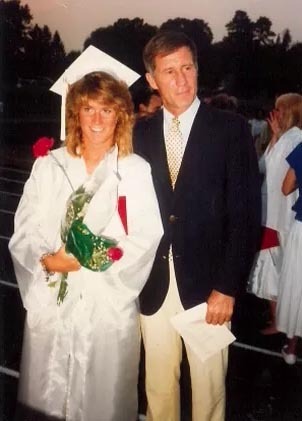 Bernard’s High School Graduation, June 19, 1987 with my awesome Dad. I wasn’t a hundred percent healed, but I was no longer a hundred percent shattered. I started to understand that how we view ourselves does not necessarily reflect the truth about who we really are and what we deserve in life. It was as if when I lifted myself up out of that pit that separated the stage from the seats, I lifted myself out of the pit of shame and isolation at the same time. I could have easily stayed in that level of self-loathing for years to come, maybe even forever. But instead, May 13, 1987 was a night my self-concept took a turn, and it was all because of a stranger who gave me a push and Bono who allowed me up on that stage. Now clearly, not everybody has a rock star unknowingly change the direction of their lives. But all of us have people that come into our lives offering us goodness and peace, usually just when we need it the most. The true bummer is that our shame can be so blinding that we don’t realize when grace is being offered. The message that was meant for me, that God had been trying to show me for three weeks prior to that concert, was written with a Sharpie on a tie-dyed t-shirt that I wore to bed for years to come and I still didn’t get the message right away. Give Inner Peace a Chance, pull yourself up out of the pit, and choose peace. Picture God holding up a yellow and white tie-dye t-shirt that reads GIVE PEACE A CHANCE. Commit to giving peace a chance regardless of how bad things feel. Do this In The Name of Love… a love that supports you regardless of how deep in the pit you are. Allow it in. It’s real and it’s right next to you, looking right into your eyes amid the chaos. Trust it and jump.